How do athletes and musicians develop their talent? How can teachers stimulate children's talents and creativity in the classroom? And how can we improve talent selection of athletes, employees, musicians, and students? In any achievement domain, there is an increasing focus on the development, selection, and promotion of talent and creativity. 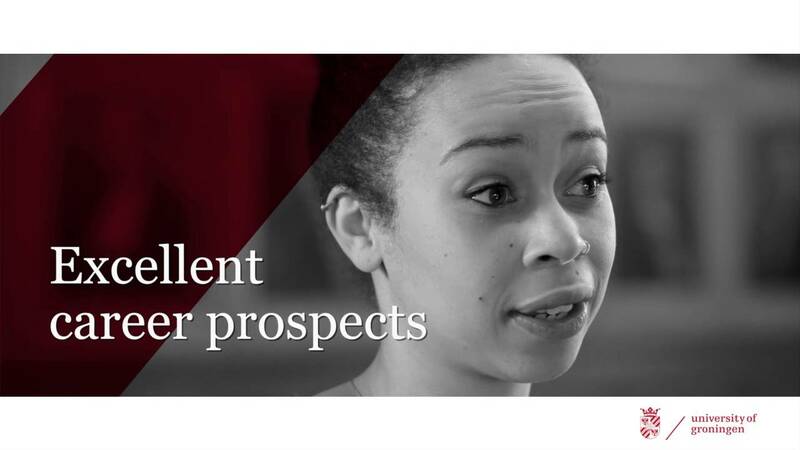 In this unique, internationally-oriented Master's programme you will develop the expertise to select, develop, and nurture talent and creativity in individuals and organisations across achievement domains. You will learn about the theoretical and practical approaches to talent development and creativity, and about the psychology of success. You will get in touch with organisations from different different industries, sports clubs, and schools, that aim to improve the selection and development of talent and creativity. Furthermore, you will develop coaching skills to enhance people’s personal and professional potential. As part of your Master’s thesis you will carry out a research project to investigate the development of talent and/or creativity in the achievement domain that interests you most. Our one-year MSc. program consists of 30 EC master courses and a 30 EC master thesis, possibly including an internship. two elective courses: which can be (a combination of) additional foundation courses, psychology master courses from another program, or courses from outside the psychology department (the exam committee has to provide permission for the latter option). In your individual master thesis, you can focus on the achievement domain that interests you most. You could conduct a fundamental research project in the lab, but also be involved in projects with one of our partner institutions. Within our program, there are various collaborations in the world of sports (e.g., Dutch Royal Football Association, Royal Dutch Lawn Tennis Association, Team Sunweb (cycling), Football Club Groningen), education (e.g., Friesland College, Topsport Talentschool Groningen, Bètapunt Noord), or other organizations in which talent selection, - development, and creativity are crucial music (e.g., Prince Claus Conservatoire, the Royal Netherlands Army, Museums, local and (inter)national enterprises). For English-taught tracks, students with an HBO (Dutch University of Applied Sciences) Applied Psychology degree or a foreign preparatory course speakers must meet the language requirements. See: https://www.rug.nl/gmw/psychology/education/master/aanmelding-en-toelating/taaleisen-engelsls. In our courses you learn about using your skills in practice, and you have the opportunity to work with an organization in the domain of your interest. We look for interesting meetings where you can do some networking and get in touch with practice outside the courses. If you are interested in sport psychology you can obtain an official sport psychology certificate when having finished this program. Our foundation- and skills courses count to obtain a Coaching certificate. Staff members involved in MSc. program Talent Development and Creativity have provided important contributions to the selection and development of talent and creativity in different domains. A brief selection of examples is provided below. In collaboration with the Dutch Royal Football Association and Football Club Groningen, we are designing and testing new ways to select soccer players. The two most important aims of this project are: 1) Provide better, more systematic ways of scouting players, and 2) construct test environments in which important soccer skills (e.g., psychological skills, passing, defending, attacking) can be assessed in the most valid way. The ultimate aim of the project is that we can come to better predictions of soccer players’ future performance. This national research project ("Talentenkracht" in Dutch) has been conducted by different researchers and PhD students of our department. Curious Minds is focused on the measurement and stimulation of scientific talent in primary education. It started about years ago, and has resulted in a list of scientific articles, as well as teaching instruments for schools, coaching packages for teachers, and a handbook on talent development in primary education. The (Dutch) website is talentenkrachtgroningen.nl. Currently, researchers and practitioners are extending the Curious Minds approach to other fields, including music and sports. In collaboration with the Special Forces Unit of the Royal Netherlands Army, we are establishing a data platform to improve the development and selection of operators (i.e., commandos). Key questions we are focusing on in this project are: What skills are needed to perform in exceptional circumstances? How can we develop such talents? What are the effects of psychological training on the skills of the operators? How can we improve the selection procedure for the Special Forces? Results of this project will provide very relevant insights into the selection and development of talent in fields in which people need to perform under stressful circumstances. Prof. dr. Nico W. Van Yperen Professor Sport & Performance Psychology. Research expertise: Competence and motivation across achievement settings, including work, sports, and education. Dr. Ruud J. R. Den Hartigh Assistant Professor Talent Development and Creativity. Research expertise: Performance processes in sports and beyond, in particular talent selection and –development, psychological momentum, and resilience. Dr. Marijn W. G. Van Dijk Research expertise: Talent development in teacher-student interactions, mostly in primary education and the arts. Prof dr. Rob R. Meijer Research expertise: Methods, measurements, and instruments in Psychology. Design of tests that optimally predict future performance in work, education, and sports. Dr. Barbara Huijgen Research expertise: Talent identification and –development in sports from a multidimensional perspective. Dr. Susan Niessen, MSc Research expertise: Talent assessment methods in the context of higher education, work, and sports. Prof. dr. Peter de Jonge Research expertise: The development of psychopathology and how this could be linked to special talents and creativity. Yannick Hill, MSc Research expertise: Psychological resilience, breakthroughs and Breakdowns in athletic careers. Tom Bergkamp, MSc Research expertise: Talent identification and predicting future performance in the domain of sports. Meijer, H., Niessen, A., Frencken, W., & den Hartigh, J. R. (2018). Daar zit toch een goede kop op? Beter voorspellen van sportprestaties met inzichten uit de selectiepsychologie. SportGericht, 72, 18-23. Sport Science Blog by Prof. dr. Nico van Yperen: Dutch columns on the psychological factors of sports and performance. Van Yperen, N. W. (Accepted/In press). Achievement goals and self-regulation in the sport context. In Social Psychology: Handbook of Basic Principles (third ed.). New York: Guilford Press. Niessen, A. S. M., Meijer, R. R., & Tendeiro, J. N. (2018). Admission testing for higher education: A multi-cohort study on the validity of high-fidelity curriculum-sampling tests. PLoS ONE, 13(6). Den Hartigh, R. J. R., Hill, Y., & van Geert, P. L. C. (2018). The development of talent in sports: A dynamic network approach. Complexity, 2018, . Kupers, E., Van Dijk, M., & Lehmann-Wermser, A. (2018). Creativity in the Here and Now: A Generic, Micro-Developmental Measure of Creativity. Frontiers in Psychology. Den Hartigh, R. J. R., Niessen, A. S. M., Frencken, W. G. P., & Meijer, R. R. (2018). Selection procedures in sports: Improving predictions of athletes’ future performance. European Journal of Sport Science, 18, 1191-1198.
van Vondel, S., Steenbeek, H., van Dijk, M., & van Geert, P. (2018). The Effects of Video Feedback Coaching for Teachers on Scientific Knowledge of Primary Students. Research in science education, 48, 301-324. Bergkamp, T., Niessen, A., den Hartigh, J. R., Frencken, W., & Meijer, R. R. (2018). Comment on: "Talent Identification in Sport: A Systematic Review". Sports Medicine, 48, 1517-1519. Den Hartigh, R. J. R., Van der Steen, S., Hakvoort, B., Frencken, W. G. P., & Lemmink, K. A. P. M. (2018). Differences in game-reading between selected and non-selected youth soccer players. Journal of Sports Sciences, 36, 422-428. De Jonge, K., Rietzschel, E., & Van Yperen, N. W. (2018). Stimulated by Novelty? The role of Psychological Needs and Perceived Creativity. Personality and social psychology bulletin, 44, 851-867. Hill, Y., den Hartigh, R. J. R., Meijer, R. R., de Jonge, P., & Van Yperen, N. W.(2018). Resilience in Sports From a Dynamical Perspective. Sport, Excercise and Performance Psychology, 7, 333-341. Te Wierike, S. C. M., Huijgen, B. C. H., Jonker, L., Elferink-Gemser, M. T., & Visscher, C. (2018). The importance and development of ball control and (self-reported) self-regulatory skills in basketball players for different positions. Journal of Sports Sciences, 36 710-716. Van Yperen, N. W. (2017). Competence and the Workplace. In A. J. Elliot, C. S. Dweck, & D. S. Yeager (Eds. ), Handbook of Competence and Motivation: Theory and Application (2 ed., pp. 635-654). New York: Guilford Press. Kramer, T., Huijgen, B. C. H., Elferink-Gemser, M. T., & Visscher, C. (2017). Prediction of Tennis Performance in Junior Elite Tennis Players. Journal of sports science and medicine, 16, 14-21. Niessen, A. S. M., & Meijer, R. R. (2017). On the use of broadened admission criteria in higher education. Perspectives on Psychological Science, 12, 436-448. Den Hartigh, R. J. R., Van Yperen, N. W., & Van Geert, P. L. C. (2017). Embedding the psychosocial biographies of Olympic medallists in a (meta-)theoretical model of dynamic networks. Progress in Brain Research, 232, 137-140. Kupers, E., Van Dijk, M., & van Geert, P. (2017). Changing Patterns of Scaffolding and Autonomy During Individual Music Lessons: A Mixed Methods Approach. Journal of the Learning Sciences, 26, 131-166. Van Yperen, N. W., & Wörtler, B. (2017). Blended working and the employability of older workers, retirement timing, and bridge employment. Work, Aging and Retirement, 3, 102-108. Den Hartigh, R. J., Van Dijk, M. W., Steenbeek, H. W., & Van Geert, P. L. (2016). A dynamic network model to explain the development of excellent human performance. Frontiers in psychology, 7. Kolman, N., Huijgen, B., Kramer, T., Elferink-Gemser, M., & Visscher, C. (2017). The Dutch Technical-Tactical Tennis Test (D4T) for Talent Identification and Development: Psychometric Characteristics. Journal of human kinetics, 55, 127-138. 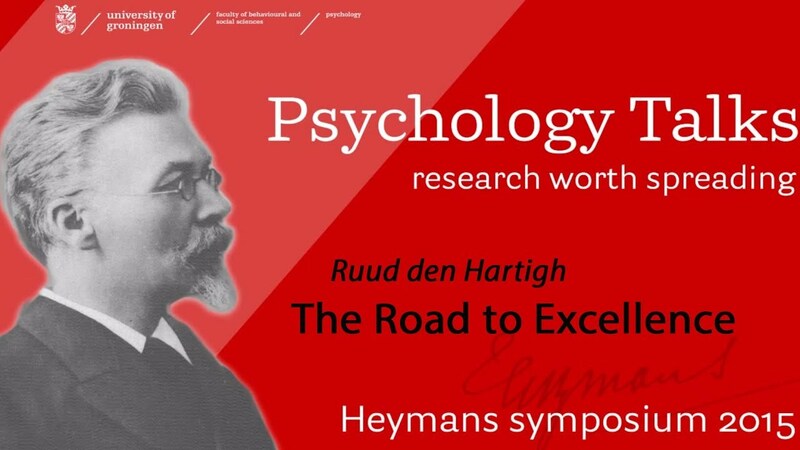 In this Psychology talk, Dr. Ruud den Hartigh explores the development of talent in the specific case of excellent performers. The best course unit that I took was the one on coaching. I'm the first student to have completed this Master's programme. That's because it's new: officially the programme only started this academic year. But I was allowed follow some of the course units last year, which explains why I have already completed the programme. In Talent Development and Creativity you learn how to bring out the best in others. You help them to discover and develop their talents. This topic has always interested me, which is why I chose the programme. I’m particularly interested in sport, but I didn’t want to limit myself to sport psychology. In this programme, you learn about the development of various sorts of talent: in sport, in music, at school, at work… you name it. The best course unit that I took was the one on coaching. First you learn all the theories and models of coaching, and then you apply them in the practicals, by using role play. And then, and this was the part I liked best, you actually coach someone, a student assistant or PhD student. This meant we could immediately apply what we had learnt, and in fact that was the case with all the course units. I think that is a major strength of this Master’s programme. Although you can do a placement as part of the programme, I chose not to. I wrote an extensive thesis, which involved conducting research into affordances, the possibilities that people see to take action, and psychological momentum in a sporting event. The expectation was that a person who is in positive momentum – who has a lead over the opponent for instance – will see more affordances than a person who is in negative momentum. And that proved to be true. I’m now working on a PhD proposal that follows on from my thesis. Research didn’t appeal to me very much before, but this topic is so interesting and I am so into it now that I really like the idea of finding out more. What is so great about this programme is the way theory and practice are integrated. I came to Groningen because I had the opportunity to study Psychology here. I was fascinated by human thought and behaviour and I wanted to learn more about it. Furthermore, Groningen is a picturesque city full of canals with sailboats and bicycle paths that get you across town. Throughout my bachelor I discovered the cultural opportunities and liveliness that only a city with 25% student population can offer. After my bachelor's programme I worked in Television Production in Germany for two years, before deciding to come back to Groningen for my master's degree. Currently, I am following the ' Talent Development and Creativity' master's programme. We study the nature of talent, where talent originates, and how it can be developed. It is a unique study, with an approach to psychology that I think is revolutionary. Whereas most Psychology programmes only examine the development of large groups of people over time, the programme in Groningen also focuses on processes on the individual level. Iam very interested in that research angle - carefully studying someone's development and interactions and describing it in an almost mathematical way. Another great aspect of the 'Talent Development and Creativity' programme is the way theory and practice are integrated. One course on talent development consisted almost entirely of lectures by practitioners: from the Conservatory, for instance, or from FC Groningen. These experts presented how they select and develop talent in their institution. Then they discussed their ideas with us and were actually interested in our input. Most courses I have in the 'Talent Development and Creativity' trajectory are structured into two components: initially building up knowledge and then applying it to a 'real world' case. This is challenging as you might have a great theoretical Idea which turns out to be impractical when transferred to a real case. But it is also very gratifying: instead of cramming for an exam and forgetting everything the moment you exit the exam hall, you really get to put your knowledge to use. After my study, I think I would like to work at a talent development department at an international company, conceptualizing Talent Development programmes that help employees to get the most out of themselves and to perform optimally. Given my work experience in Television, I am searching for a Media Company, because I loved the creative environment it offered. We learn a lot about how to recognize talent and creativity. Psychology is concerned with everything related to human behaviour. For me, clinical psychology means counseling people who need help. Helping people go from -1 to 0, so to speak. That is very important work, but I found myself much more interested in guiding people who are already doing well. Helping them to go from 0 to 1, to really achieve great things. At the moment, I work both as a personal trainer and I have my own business where I work as an independent sports psychologist. As the latter, I coach athletes, especially in the context of performance: how do you perform under pressure, how do you keep your concentration, and how do you deal with the thrill of competition? As a personal trainer, I train people in a sports studio. That is very physical – I make sure they do all the exercises right – but at the same time, my education as a psychologist proves very useful. People get stressed, they want a lot. With my background, I can guide them well. During my studies, I took quite a few courses in sport psychology, and I still use the theories I learned. The courses on performance and coaching, for example, where you are taught to talk about improving and changing behaviour in a one-on-one setting, have proven to be very useful. My work is all about turning theory into practice. In future, I would like to do a lot more in the field of achievement. I want to apply psychological insights to take sports in the Netherlands to a higher level. That is possible, if coaching and talent development are employed in the best possible way. I would love to make a contribution to that, and to develop myself further as a psychologist. My advice for (future) students? Your university years can come with a lot of insecurity, especially towards the end. All of a sudden you are a graduate, and then what? If we all had our way, we would complete a study, get a job right after, and have everything go in a nice, straight line from there. But it never does, and that is all right. It is part of life, and it can teach you valuable lessons. Above all, I would tell students to really treasure their time at university. It is a wonderful phase of your life, one in which you have a lot of freedom and the opportunity to figure out what really matters. I am interested in how companies and organizations can use talent in the best way possible. That is very important for an organization, but at the same time very complicated. How do you define talent; how do you make sure people use the talent that they have ? How can you develop talent and how do you let talented people work together in the best way possible. During the Master 'Talent Development and Creativity' you learn to look at talent from this complex and dynamic perspective. At the moment, I work as a HR analytics advisor at the Ministry of Health, Welfare and Sports. I analyze data from different staff systems to get new insights for HR managers, policy makers and advisors. I have meetings with them to find out which data they find most interesting. I also talk with the people who provide all the information to discuss which data I can request for my analysis. Finally, I make analyses in Excel with graphics in PowerPoint to share my new insights. During the master’s programme, I learned how psychological processes work in organizations and how you can examine them. Because of this study programme, I can look with a different, more creative perspective at approaches to examine processes. My study is still very useful for my current job. I look back at my student time in a very positive way. I really enjoyed the atmosphere in Groningen. You will know what I mean by this when you have studied there. like to get in touch with practice, and use your scientific skills to improve practice.